Vaginal eczema can be a very sore and irritating condition for any woman to have. It can be a constant source of annoyance, and may cause you some unnecessary embarrassment. After getting the correct diagnosis from your doctor, there are ways to help you manage and treat the condition. Ways to limit the negative effect it has on your life. Find out which symptoms to look for, and what you can do to limit the chance of an outbreak. The symptoms can appear externally, as well as internally. 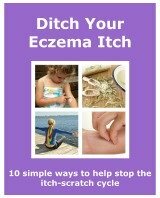 Most of the symptoms are common in all types of eczema. The burning sensation may occur while you are going to the toilet. You may find that the area stings, making it uncomfortable to urinate. There are a few things that could trigger on outbreak of vaginal eczema. Sweat. Can be irritating to the skin, especially if it is broken. There are some ways you can treat vaginal eczema. Both conventional and alternative treatments can be used. Antibiotics. These will be prescribed if the area gets a bacterial infecton. You would either be given a topical cream, or an oral capsule. Another option is to have an allergy test. It can help pinpoint any allergies you have that may make your vaginal eczema worse. It will help you to avoid any products or items that contain the offending allergens. To help combat your vaginal eczema you should visit your doctor, or gynaecologist. They will be able to help you treat and manage your eczema. Never feel embarrassed about going to see someone about it. They are there to help, and without the right treatment the condition may get worse. As the area is sensitive it can easily spread, making it harder to treat. Make it as easy as possible to get clear of vaginal eczema.